US - Studio - Platforms. The STEP and RISER are set to revolutionize step classes, opening up new opportunities for creative programing that brings more people than ever into the studio. 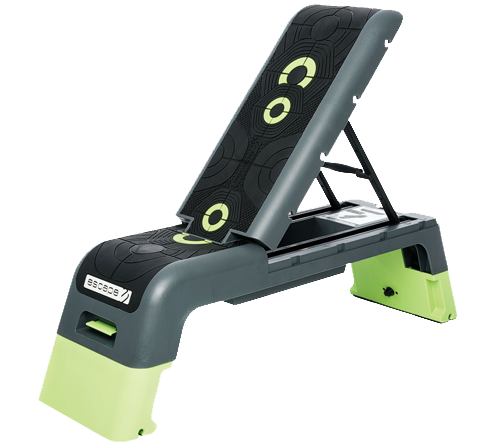 Whether used in a gym class for stepper workouts or placed in a fitness studio, the fitness step platforms from Escape Fitness are ideal for all levels of user. Perfect for versatile cardio training at all abilities, we offer everything from fitness trampolines to variable stepper systems and standard stacking steppers.